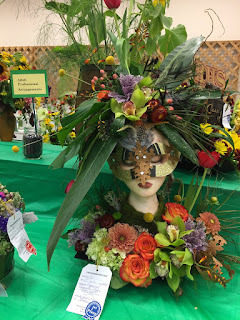 Romancing the Genres: Fair, Fair, Oh, how I love Fairs!!! Fair, Fair, Oh, how I love Fairs!!! 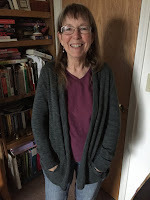 Diana writes paranormal romance, always with a happily ever after. In her latest book "The Witch with the Trident Tattoo" you'll find a heroine and hero to root for as they fight against an evil force set on killing all life in the oceans. Along the way are colorful characters. A teenage mermaid with pink hair who can come on land for short periods of time, an octopus familiar named James, and a host of others. 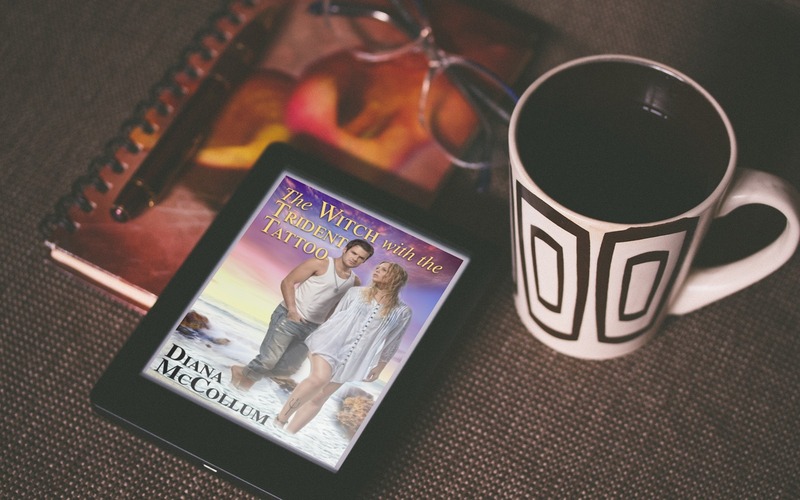 A great summer read, "The Witch with the Trident Tattoo". Fairs have been around since before 500 B.C. Fairs were mentioned in the bible as places to socialize and sell goods. Over time, the fair morphed away from religion and commerce and into periodic gatherings attended by crafters, food brokers, clothing stalls and livestock for show and sale. People bartered for, and exchanged goods, not that much money changed hands, but lots of goods did. The actual first date of the original fair is unknown. The first fair in America was recorded in 1765, in Windsor, Nova Scotia. In 1792, the first fair of Niagara was held, by the Niagara Agricultural Society. Both of these fairs still occur each year right through the present day. Today, there are around 2,000 fairs each year in North America. Now days fairs include, but are not limited to: food, shows, rodeos, games to play for prizes, carnival rides, 4-H exhibits, horticulture, livestock, all kinds of new innovated things for sale! Personally, I love the fair! Hubby and I try to go every year. Here in Deschutes County there is one day , usually opening day, when seniors get in free. We missed that day this year, hubby wasn’t feeling well, but did go the next day to walk through the exhibits. What I learned is there are so, so many talented people in this world. 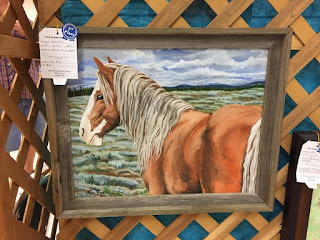 From paintings by 13-year-old kids to gorgeous photography to quilts that are definitely a work of art, it humbled me to see all the creations by everyday amateur individuals. Most exciting, unusual thing we saw? A couple cowboys riding Long Horn Bulls through the streets of the fairgrounds! Most beautiful craft was this quilt. Most beautiful flower? 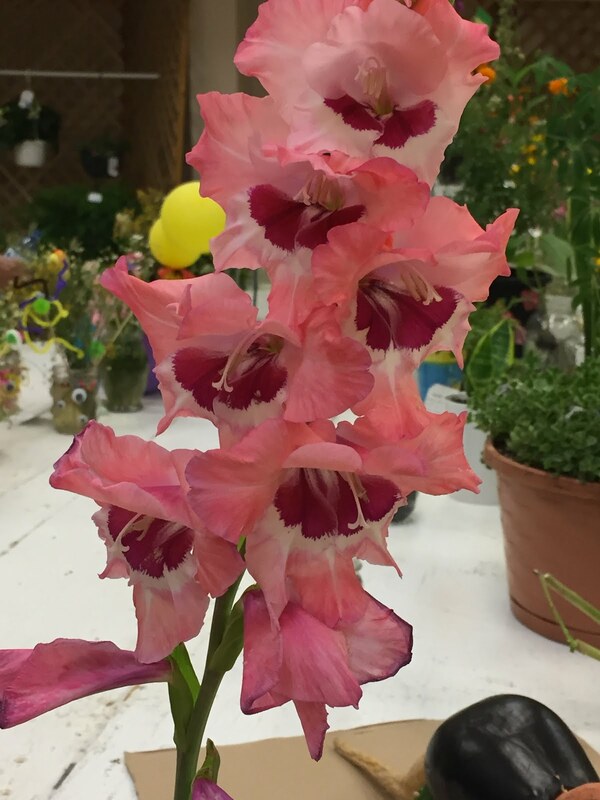 This two toned gladiola. The most exotic thing? This Styrofoam head decorated with food and flowers. Do you have a fair near you, and if you do, what do you like doing the best? For me it’s the inside exhibits, including the animal barns. I love going to the Renaissance Faire. There are two in the Portland area and I went to the earlier one this year. It was good (much cooler, better walking paths) but the one the end of July was so much richer in items. Hopefully next year one day the end of July will be cool enough to attend. Would have missed altogether if I'd waited - 100 degree days are not Fair or Faire attending days for me. Love the quilt and the gladiolas. I've enjoyed several Renaissance Faires in CA. I even won a prize at the Archery booth for hitting the bulls eye. Plus, the fragrances and incense they sell out wonderful. We were lucking the day we went to the fair is was only in the 80's this year. When I was a teenager, I worked at the Los Angeles County Fair. The fairgrounds are in Pomona, the city where I grew up. I even worked during the summer a couple of years, in a restaurant that served the summer workers setting up the fair. It was Italian and I helped make the first pizzas that were sold at that fair. They didn't have much on them, compared to these days. During the fair itself, I worked in a popcorn booth a couple of years. Hubby and I used to take the kids to the Oregon State Fair when we first moved up here. And we've gone to the Yamhill County Fair, when our kids were involved. Our youngest had a rabbit entered one year. Wow, Barb, I bet those summers working the fair were fun. Seems like you'd meet a lot of interesting people. Fodder for your stories? Wow! 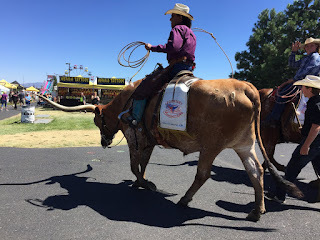 The guy riding the long-horned bull was an eye-opener! I too love fairs--count and state. I didn't go to the Washington County fair this year because the heat was too unbearable. My husband did take the max out early in the morning and stayed about three hours. He loves visiting all the animals--sheep, cows, goats, llamas. Funny to hear about Barb and the L.A. County fair in Pomona. I used to go to that as a kid, because I grew up in Montclair, right next to Pomona. When I was 10 or 11 I entered a dress in the Home Ec department. I loved to sew. I won 2nd place for my age group. My favorite things to visit were always the animals, and still are. As an adult, another thing I love to visit are the quilts--the intricacy is so amazing. And both Jim and I love going to the Future Farmers of America exhibits because it is so important to encourage young people to continue to farm. I really don't want to see all farming becoming big commercial enterprises. On the other hand, I know how hard it is for independent farmers to make a sustainable living. I love fairs too, Diana. I always end up missing the county fair in August here, but I do love the many festivals in town. Loved your pictures!!! That quilt is a work of art for sure! Fairs are a lot of fun. I love to wander and take kids to the animal barns. Hi, Maggie, My husband's favorite part are the animals too and the future farmers of America. You and Barb may have passed close to each other at the Pomona Fair. Thanks for stopping by Marie! Bend has a ton of street fairs! Thanks for stopping by, Sarah. 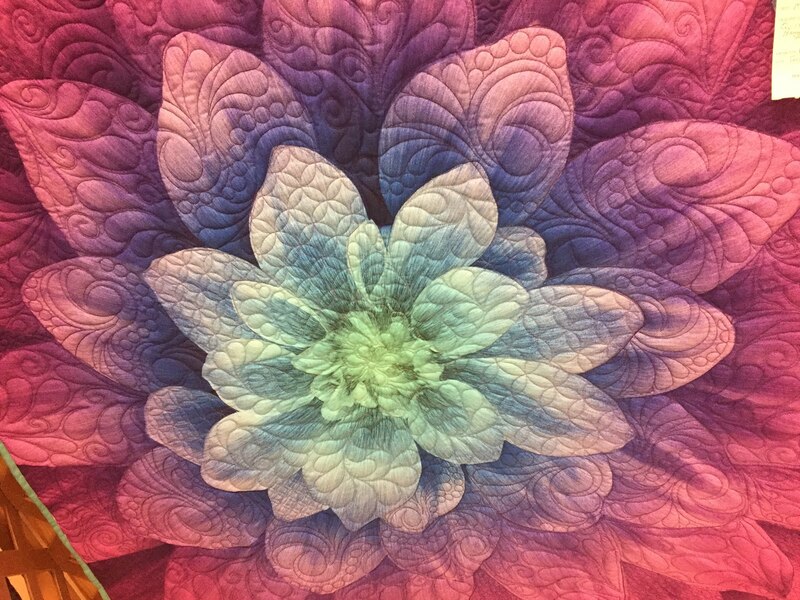 Quilts are truly incredible. Diana, It looks like you had a great time at the fair! Glad you were able to make it. As you know, I attend quite a few fairs. I go judge at state fair next week. But I also attended a lot of Deschutes County fairs being a 4-H leader for over 20 years and a 4-H program assistant for 10. I'm not sure which was harder. The leader/parent role or the program assistant role. The first I had to make sure kids had their projects finished and they attended fair in the case of Fashion REview and those who were in animal projects. But as the program assistant I was in charge of the 4-H building from 7am to 10pm from Monday through Saturday the week of fair. Long hours and dealing with lots of stuff. Fun post! 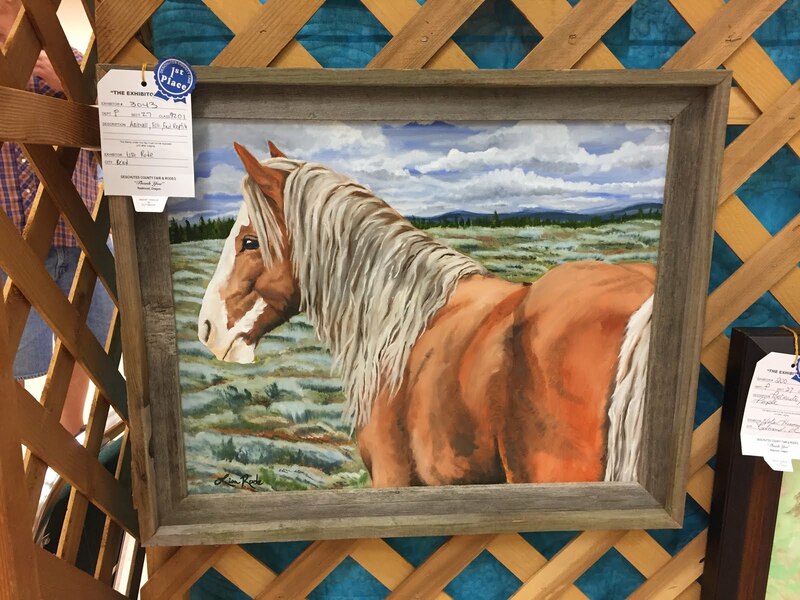 I love fairs because well, horses, and gardening. Two of my favorite things represented in one place. Oh, and quilts. Can't make them but boy do I admire them. Another thing I admire is that new book of yours. An absolute delight to read. I have really got to get out and get to these things.